Posted in: Planning. Tagged: Harley Davidson, Road King, Route 66. Sadly, Global Enduro had to cancel the Sturgis trip as a group had had to cancel. Thankfully, there was another authorised trip on Harley Davidson’s website: Route 66 Westbound – 2400 miles from Chicago to Los Angeles with more or less the same dates, so definitely do-able. This was on my bucket list and whilst I still want to do Sturgis at some time in the future, doing Route 66 will be an amazing ride with some sights along the way like Las Vegas and the Grand Canyon. So I’ve booked with Italian organisers Bikers American Dream and waiting to hear further details now. 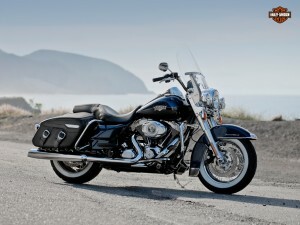 Still aiming to book a Road King but I may have to go for an Electra Glide if not.